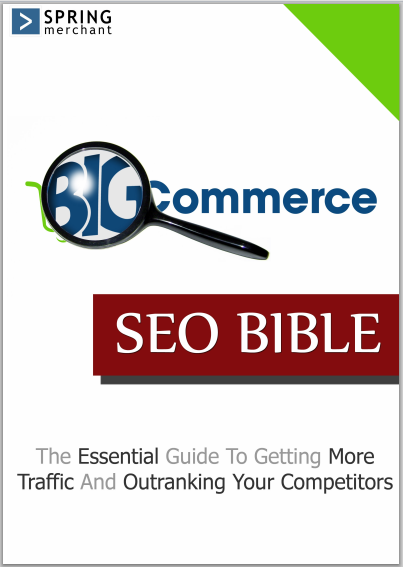 Bigcommerce SEO Bible - The Ebook is out. What started as a series of posts regarding basic SEO tips for Bigcommerce stores ended up as an ebook ready to be taken home by anyone. This free guide outlines the importance of SEO especially if you run an ecommerce site and has specific advice tailored to the Bigcommerce platform. We love Bigcommerce and we know you do too, thus we have compiled this 30 page guide to pave the way to a better understanding of search engine optimization. Get your free ebook by subscribing to our newsletter. There will be no spam email and you'll get a weekly digest of our best articles about SEO, design and various tips. Subscribe below!